Our dreamy bouquet looks like it came bright from the backyard! 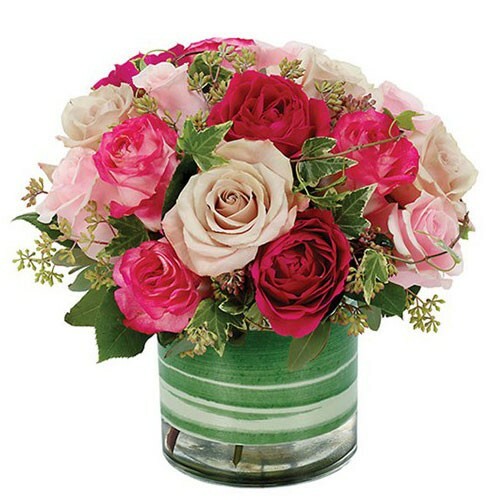 We've gathered attractive light pink, hot pink and peach roses with ivy and eucalyptus for a lovely, delicate color palette. Artistically designed our striking bouquet gracefully conveys the sentiment: I am eternally yours.